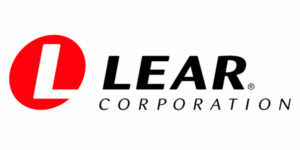 Global automotive technology company Lear Corp. has been named to FORTUNE Magazine’s World’s Most Admired Companies list. The magazine’s list of the World’s Most Admired Companies is based on a survey of corporate reputations conducted in collaboration with global management consulting firm Korn Ferry. The survey was distributed to 3,750 executives, directors and securities analysts from 680 global companies in 52 industries who were asked about the companies they admired most inside and outside their own fields of work. The results were based on nine factors, ranging from investment value to quality of management and products to social responsibility and ability to attract talent. Among motor vehicle parts companies, Lear was ranked third overall and third in the “People Management” and “Long-Term Investment Value” categories.